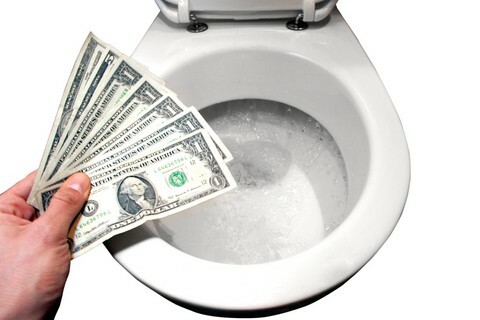 How Much Does Garbage Disposal Repair Cost? Is your garbage disposal jammed, clogged, leaking, or not draining? If your garbage disposal doesn’t work right, read on. This complete garbage disposal troubleshooting guide will help you quickly diagnose and repair the problem. Did you know that a garbage disposal has a reset button that will restore it from an overload? It does! We’ll show you how pressing that button may get your garbage disposal working in a minute or two. Did you know that you can free up a jammed disposal with a simple little garbage disposal wrench? We’ll show you how to do that, too. It’s an equally simple fix. 1. Push the reset button on the bottom of the disposal and then try it again. 2. Make sure its cord is plugged into a working electrical outlet or hardwired to an electrical box. If necessary, reset the circuit breaker that supplies electrical power to it. 3. 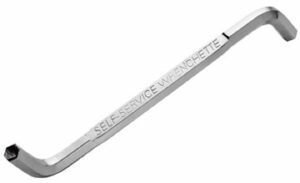 To clear a jam, insert a 1/4-inch hex wrench into the hex-shaped hole in the underside of the garbage disposal and crank both directions a few times to free-up the impellers. 4. 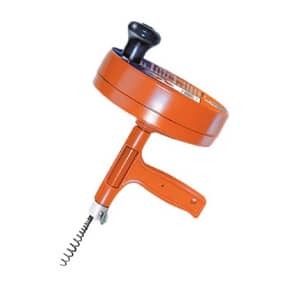 If you don’t have a hex wrench, disconnect the power, put a short broom stick into the disposal, push it down against one of the blades, and try to rotate the impeller back and forth to free the jam. You’ll find more detail about these steps below. Don’t try to run the disposal if it hums but doesn’t grind—this may burn out the motor. As shown in the diagram here, a shredder inside the unit breaks down the food, and then an impeller arm and plate force the liquid and particles out the drain. The unit also has a dishwasher inlet that’s connected to the dishwasher drain hose. With this, dishwasher drain water can run through the garbage disposal, allowing the unit to chew up any large particles before they enter the drain pipes. Unplug or turn off the electrical circuit that powers your garbage disposal before making any repairs. To determine the quickest and easiest way to fix your garbage disposal, you need to figure out what the problem is. In most cases, the symptoms will tell you what to attack first. If the garbage disposal doesn’t do anything—meaning it doesn’t even hum—the problem is likely to be that it isn’t receiving power. The electrical circuit that serves the garbage disposal is off. To deal with this, see Garbage Disposal Not Working, No Noise, below. If the garbage disposal hums but doesn’t grind when you turn it on, turn it off. Something is jammed inside it. See Garbage Disposal Hums or Is Jammed, below. If the unit’s motor runs, but it doesn’t grind well, something is probably wrong with the blades. See Disposal Grinds Poorly, below. If the garbage disposal is not draining or disposal water comes back up through the sink drain, the problem is generally with the garbage disposal drain, not the disposal unit. For more, see Garbage Disposal Clogged, Not Draining. If the garbage disposal leaks into the base cabinet, you’ll need to determine where the leak is originating. First look for drips from the pipes (especially at connections) in the area under the sink. If leaks drip from the bottom of the garbage disposal’s body, see Garbage Disposal Leak, below. Okay, now that you’ve identified the symptoms, let’s take a closer look at each of these problems and how to repair them. If the garbage disposal doesn’t do anything—meaning it doesn’t hum or make a sound—it probably isn’t receiving power. Look for a garbage disposal reset button on the underside of the disposal and press this reset button. This simple touch may be all that’s needed to get it running again. If that doesn’t do the trick, determine whether your disposal is plugged into an electrical receptacle under the sink or hard-wired (directly connected) to an electrical box there. If your disposal is the plug-in type, unplug the disposal from its electrical outlet and test the outlet with another appliance, such as a hair dryer. If the outlet doesn’t work with another device, go to the circuit breaker panel and reset the circuit breaker that serves the disposal. This breaker is often on the same circuit used by the dishwasher. Reset it by turning it all of the way off and then back on. If your disposal is hardwired to an electrical box, go straight to the circuit breaker panel and reset the breaker the same way. You’ll know your disposal is jammed or clogged when the motor hums but the disposal doesn’t grind, is overly noisy, or runs and then stops before you turn it off. Don’t continue to run the disposal when it’s jammed—this can burn out the motor. Even when jammed, a disposal will usually drain. The jam is often caused by a piece of bone, a fruit pit, or something similar stuck between an impeller blade and the drain hole. Be sure to unplug the disposal or turn off the electrical circuit that powers it before making any repairs. If the motor has burned out, you’ll need to replace the disposal. You can easily buy a new disposal online. Please see the HomeTips Garbage Disposals Buying Guide. 1 Unplug the unit or turn off the circuit breaker that serves it. 2 Under the sink, look at the bottom of the disposal for a hex-shaped hole. 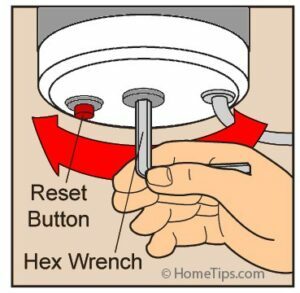 If you see one, find a 1/4-inch hex wrench that fits the hole (often there is one attached to the disposal). 3 If your disposal doesn’t have a hex hole or you can’t find a hex wrench, put a short broom stick into the disposal (with the with the power disconnected! ), force it down against one of the blades, and try to rotate the impeller back and forth. 4 If something has been put in the disposal that shouldn’t have—such as metal, rubber, glass, or fibrous food waste such as artichoke leaves or banana peels—use tongs or pliers to pull the material out. Never use your hand. 5 You may have to remove the disposal to clear a jam. In some situations, this is easier to do than it might sound. Following is a really helpful video that shows the basic techniques for simple fixes and, if necessary, removing a disposal. If your disposal grinds poorly, make sure that you are running enough water while operating the unit and that you are not grinding matter that you shouldn’t. If you can hear the garbage disposal running but it is not grinding, the blades may be broken. Normally, it isn’t worth trying to repair a broken garbage disposal. It’s usually easier and cheaper to just replace the entire unit. See How to Install a Garbage Disposal. When water stands in the sink, it means the drain is clogged either in the disposal or further down the drain line. This isn’t a garbage disposal problem—it’s a plumbing problem. You’ll probably need to dismantle the drain pipe under the sink and clear the clog. See Sink & Drain Clog Repairs. If you notice leaks below the disposal from the pipes or, more likely, the pipe connections, pinpoint the source of the leak, and tighten the offending connection. 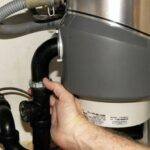 If the disposal is leaking from where it goes through the sink, replace the drain gasket or the unit’s mounting screws. For more about this, see How to Install a Garbage Disposal. 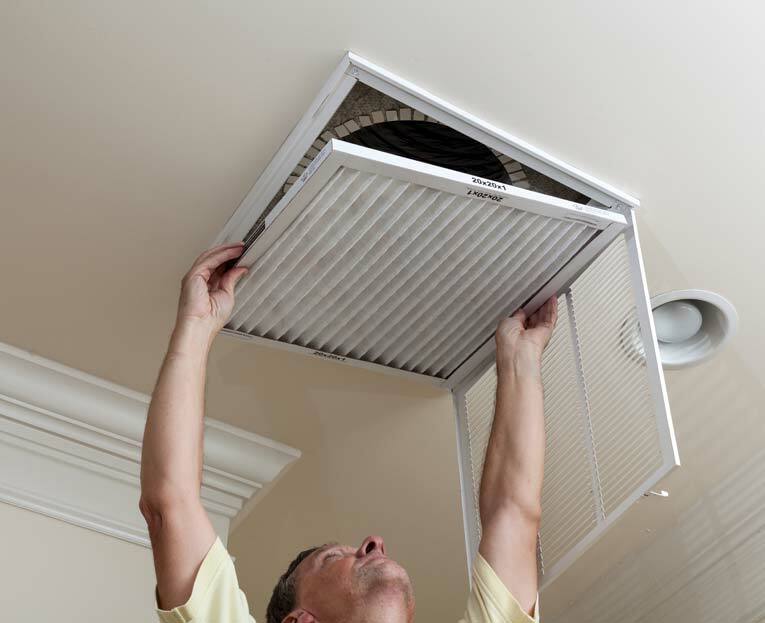 If the unit is unreasonably noisy, check whether something has entered the unit that shouldn’t have. If all is clear, the motor, impeller, or shredder is probably shot. It is generally cheapest, fastest, and wisest to replace the entire unit. You can buy a new disposal quickly and easily online. Please see the Garbage Disposals Buying Guide. The good news is that you can handle most repairs yourself. Then again, if your garbage disposal is beyond repair, you can replace it with a new garbage disposal as discussed in our article, How to Install a Garbage Disposal. A new garbage disposal unit will run you from about $50 to $350, depending upon the model. 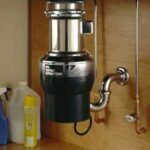 If you want to hire a plumber or a small-appliance installer to install a garbage disposal, do your homework first to decide upon the right model. Be sure to get a replacement that will fit the existing conditions of your sink. For more about this, see the please see the our Garbage Disposals Buying Guide. The labor cost for installing a garbage disposal will depend upon rates in your area. Figure it will take an installer from 2 to 3 hours. Request a bid before hiring a plumber or small appliance installer. You can get bids from local pre-qualified appliance installers from HomeAdvisor. • Run water before and after you use the disposal If something has been put in the disposal that should not have been, use tongs or pliers to pull the material out. Never use your hand. To clean a garbage disposal of built-up sludge and debris, fill it with ice cubes and a cup of rock salt and then run it for about five seconds. If your garbage disposal smells bad, you can deodorize it by running warm water down it while you grind a quartered lemon.